AerNos, an innovator in nano gas sensors, announced today that it has expanded its corporate offices, product development, and science and engineering teams as an essential part of its strategy to bring nano gas sensors to market. 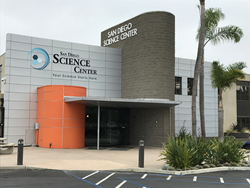 The move to the San Diego Science Center in California allows for additional horizontal market development and continued expansion into vertical markets for its nano gas sensor lines. Currently, AerNos is focusing its efforts in the air quality and air pollution vertical market while exploring other vertical markets including industrial applications and homeland security.